When things start to feel out of control or unsettled, I spend a few minutes practicing a simple, grounding meditation. Seated firmly on the floor or, even better, outside, I settle into my breath, then imagine growing roots. 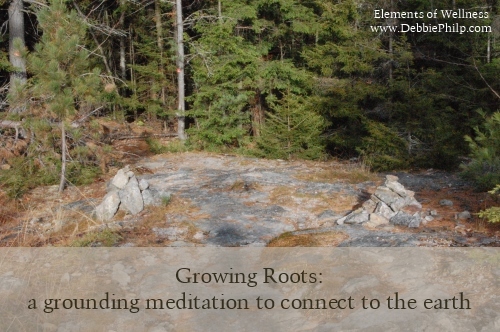 To get you started, I recorded this simple grounding meditation to help you visualize your own roots. Once you get the idea, you can practice growing roots whenever you need to feel more settled and stable. Thanks to Mark Piper, a talented local musician and awesome friend (and my guitar teacher), for the background music.